Recent research we conducted at Pulsant polling the views of IT decision-makers from a diverse range of verticals revealed that 83% of organisations are still hosting their business critical data on-premise. It is however, a situation that is changing fast, with the report also revealing that two-thirds of organisations are making use of hybrid hosting models while only 11% of respondents store all business data off-site. Yet, while the growing maturity of the cloud is increasingly enabling businesses to securely migrate data off-premise, concerns around cloud security inevitably still remain. Businesses are naturally preoccupied with ensuring that their data remains safe and secure at all times and that means they need to be happy about everything from knowing where their data is being held, ensuring its properly segregated and critically, of course, that they make the right choice of cloud solutions provider. Here we take a brief look at some key points they need to consider in making that move. For many data applications, especially those involving financial services or sensitive customer details, organisations are likely to need proof of location. From a legal perspective, this is likely to mean restricting it to certain countries. Some suppliers rely on offshore datacentres for storage provision. 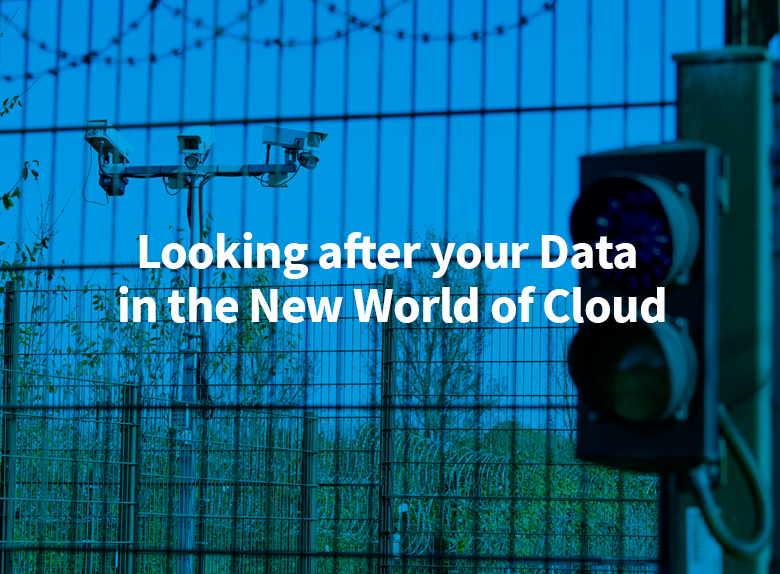 Make sure your cloud partner is aware of any location sensitivity and can respond with clear and precise details of where your data is stored. Getting your cloud from a local datacentre can also help address latency issues if you need to access data in real-time. Firewalls are vital in the cloud. Some cloud vendors however, simply provide access to a virtual machine (VM) on the internet, leaving it to the business to lock down data on a local level. Ensure your provider uses virtual datacentre technology to deliver segregated environments on a shared platform and can provide assurances and levels of service that ensure no-one else can access your data. If you’re operating in a tightly-legislated sector you always need to make sure your cloud platform supports all relevant data standards. Any business working in the cloud, for example, needs assurance that the services they are using are fully secure and CSA Star accreditation helps provide that assurance. If the hosting platform is already certified, it will reduce the effort to ensure your environment complies with this increasingly recognised and prominent standard. Strictly speaking it’s not a security concern, but getting the back-up process right is still critical with regard to safeguarding data. Your cloud partner should be able to advise on worst case scenarios to ensure that the correct level of replication is built in from the outset and an appropriate backup regime established. Ensure that your cloud computing partner can supply specific information about privileged administration rights to any information stored within the cloud environment, and can tell you precisely what access controls are in place. Last but not least – always ensure that that the cloud computing vendor you select is stable and that your contract covers ever eventuality, including safeguards if the provider is acquired by another company. This should always include ensuring that you can get your data back whenever you need to. Also, make sure you select a provider with helpful customer-focused staff because ultimately data security in the cloud should be about being able to rely on people you can trust.